Master Rentals - The Long Term Rental Company - Master Car and Van Rentals, The Long Term Car and Van Rental Company, Need a Car Cant Get Credit, Bad Credit Cars, Adverse Credit Cars, Self Employed Cars, Refused Credit. Long Term Rental/Hire for the Adverse Credit Market. WHY BUY A CAR WHEN YOU CAN HIRE ONE FOR AS LONG AS YOU WANT? WHEN YOU NO LONGER NEED THE CAR, SIMPLY RETURN IT. The Master Rentals Long Term Car Hire! difference! NOT TO BE MISTAKEN FOR CONVENTIONAL CAR LEASING. NOT TO BE MISTAKEN FOR REGULAR CAR HIRE. Who is the typical Master Rentals Long Term car Hire Customer? Clients waiting for new vehicles to be delivered The person or business user needing a car on a long term basis. The problem all to often is that credit is just not available to clients with adverse credit, the requirement exists for quality a vehicle but traditional terms of finance or lease are simply to restrictive or unobtainable. Maybe you don’t know how long you need a vehicle, or you need a vehicle every day for the challenges each day brings? Have You Bad Credit Cars, Adverse Credit Cars, Self Employed Cars, Refused Credit? All Circumstances Considered, everyone is Welcome. CCJ, Defaults, Arrears, Bad Credit. Master Rentals Car Rental/Hire has the Answer. Rental/lease hire for up-to 24 months on a month-to-month basis, meaning if your circumstances change you can hand the vehicle at any time with total flexibility. Prepayments in blocks of 1 month. Prices guaranteed for the length of prepayment. Please note, rental periods are per calendar month, not 28 days and are available to vehicle availability. 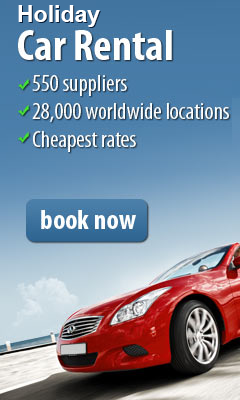 What's Available from Master Rentals Car Hire? 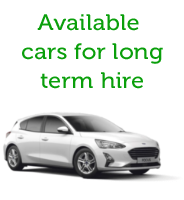 We have a huge range of fleet rental/hire cars, however, the product must be tailored to your individual requirements exact pricing is unavailable without quotation, based on your circumstances. A few examples are on our home page or in our Rental Office in Stockport. Simply complete the contact us form and our specialist car rental/hire team will contact you to discuss your requirements and budget before finding the ideal vehicle for you. Car Hire through Master Rentals and Hire is only available to clients who provide their own insurance. As this a medium/long term solution. If you are interested in Long Term Hire please fill out the contact form, and a Master Rentals Car Hire specialist will call you back to explain the options available, and to find the best deal for you! Work 16 hours per Week. Fully Warranted Car, which can be handed back at any time !! Looking at the best plan for you! Car Loans, Car Finance, Leasing, Renting, Contact Hire, Hire purchase, list seems endless, but with all plans you need the best for you. Bad credit car finance and bad credit loans can be expensive as they charge bigger fees and a higher rate of interest (only fair as the risk to them is higher they say) Bad credit car leasing involve in most cases larger down payments and higher monthly charges. Both these options lock you into the car for a set period of time Shop around, leasing companies cab have fantastic deals, however you not own the car by leasing or contract hire. 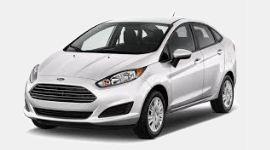 Master Rentals also have fantastic deals for bad credit car Hire, like leasing you will not own the car , but unlike leasing you will be able to hand the car back at any time if your circumstances change. Remember to ask about mileage charges as this can be expensive. Buying, leasing, Renting or Hiring a new or used car,a major factor is knowing your credit rating, have you been refused credit/finance through defaults, arrears or CCJ (County Court judgments)?? Many clients bad credit or no credit at all through self employment etc will always face much higher interest rates than those with a good credit rating. So research which purchasing method is best for your next bad credit car finance? What car Rental/Hire/Leasing/Loan options do you have if you have bad credit and what can you do to improve your credit rating? Maybe this article will help explain? Knowing what adverse credit or any other form of bad credit is key to finding the best deal on your next car. You need to be realistic in your expectations as having bad credit will limit your options, which is not in doubt. Your bad credit rating will directly control the level of interest you will pay as well as your credit limit. Leasing companies will also in most cases ask for higher down payments, while finance companies will generally ask for higher interest rates if you have a poor credit history. Bad credit car finance can be very difficult to obtain and making more than one will further harm your rating as it will show many searches on your credit file. Think before applying and choose the correct hire/rental company first time like Master Rentals. Ask for a copy of your credit file from Equifax or Experian, this will show you where you need to improve! Self Employed or Living with Parents? This could mean that you do not have any credit rating at all, which is in the finance companies eyes is as bad as bad or adverse credit. Most young adults and the self employed have this problem, at Master Rentals we understand this. This is what we look for in an application is simple. Monthly income – This must be at a level where you can comfortably afford to pay for your new car, for example consistent employment, proof this and you have passed! Responsible for your address – It helps if you have been on the voter's role for a period of time, utility bills in your name, but if you live with your partner or your parents this may not be possible. We need to find you so your driving license must correspond with your given address. 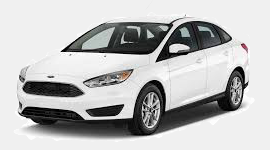 Of course it is vitally important to shop around for the right bad credit car finance deal. Though making several applications can hurt your credit rating, you can use the internet to your advantage to discover the rates and options. .Banks and finance companies are rarely consistent in the loan rates they offer, and there are many exclusive loan providers that can offer better terms.